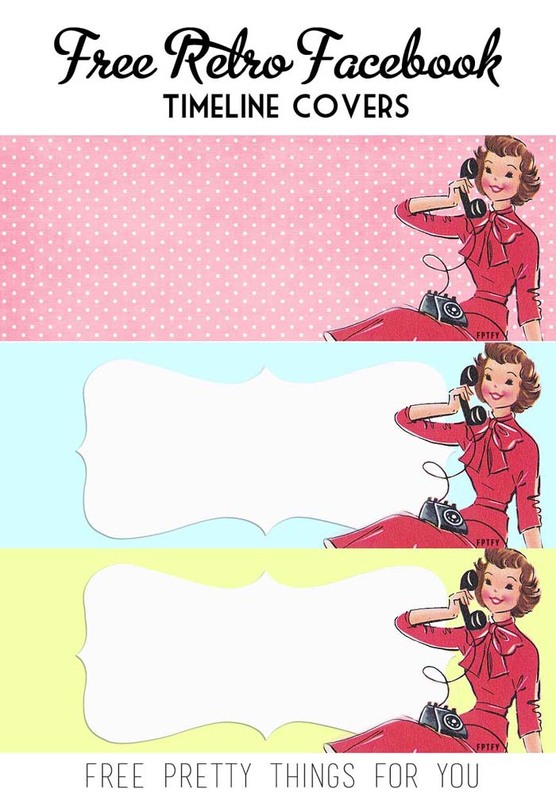 Free Retro Facebook Timeline Covers! Here’s some fun banners for you to use either as your facebook cover or blog banner! I just love the pretty retro housewife chatting away her worries! The banner have a large blank space for you to add your own text. Don’t know how to ad your own text? Picmonkey.com can help with that! To download just click each image below and save! You make my head spin!!! The timeline covers with the white “bubble”…LOVE…I am going to size them for introduction cards…and make a matching header for stationary….and even matchy poo-poo the envelopes!!! Oh…you have done it now!!! I wasn’t really feeling like cleaning out the basement today anyway! Oh haha! who needs to clean?! Thanks so much. These are sweet! WHAT A BEAUTIFUL THINGS YOU MAKE! Thank you and I wish you many angels!